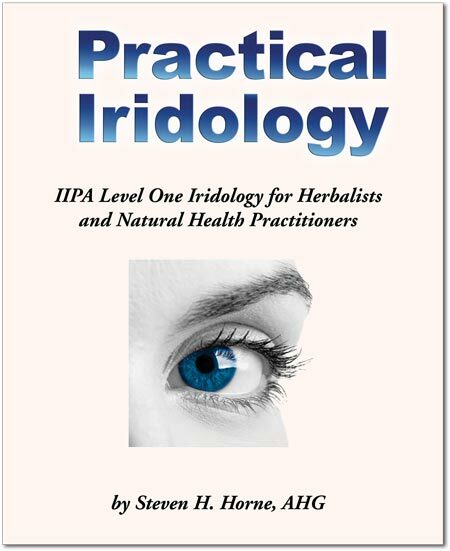 Written and produced by Steven Horne, who is a Certified Comprehensive Iridology Instructor for the International Iridology Practitioner’s Association (IIPA), the 106 pages of Practical Iridology cover all of the essential elements of the IIPAs Comprehensive Iridology curriculum. It’s been updated from our old manual with numerous color iris photos, new material and edits suggested by Bill Caradonna, one of the founders of IIPA, who feels its one of the most straight-forward and useful iridology manuals in print. This new edition, which was created last year, explains the genotypes and subtypes from European constitutional iridology, the various signs and markings found in the iris, pupil tonus signs and the principles of emotional iris interpretation or Rayid®. The new manual adds many new features, including many sclera signs, different lacuna types, collarette types and an emotional iridology chart indicating the emotional interpretations associated with all major iris zones. Steven explains how to apply the understanding of iridology to herbal therapy, which links this iridology program in with concepts from his other courses, like the Disease Tree, the body systems approach, biological terrain and the six tissue states and even his emotional healing work. One of the unique features in this iris manual is a chapter relating iris signs to the concept of biological terrain and the six tissue state model created by Matthew Wood. The chapter covering iridology by body system is also particularly helpful because it teaches you how to view the iris as a whole without getting hung up on looking at specific markings. Much of the information in this book is found in iridology textbooks that retail for around $250. So, with the full color photos and easy to follow information, this manual is a great value, even at the $97 price. You can also get it as part of the entire IIPA Level One course, which is $320. If you’re interested in iridology, now is the time to get started.